By Brian Voo in E-Commerce. Updated on October 3, 2018 . We sometimes own too many clothes or sneakers to cycle its usage, so the best way to get rid of them is to sell them, secondhand. There are many ways to sell your secondhand goods, even online, but it feels like a hassle to set it up all up just to let go of your sportshoes and a geeky T-shirts. But here is an app that can help you profit from your old wares, right on your smartphone: Carousell. 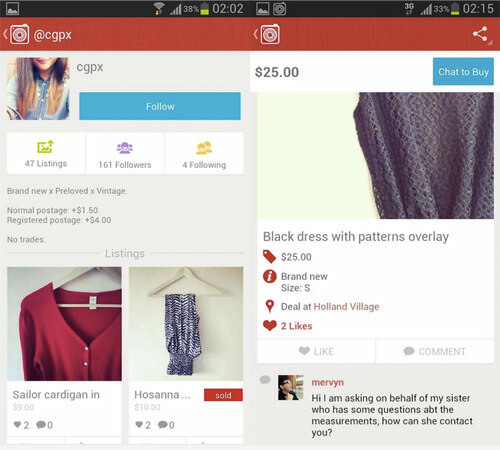 Carousell lets you quickly snap and list your items for sale with your smartphone. You can also use it as an online shopping tool and browse through its categories for something to buy. The app is easy to use and feels like Instagram; let’s check out all the cool features Carousell has to offer. Carousell is available on the Apple and Google Play App Store. 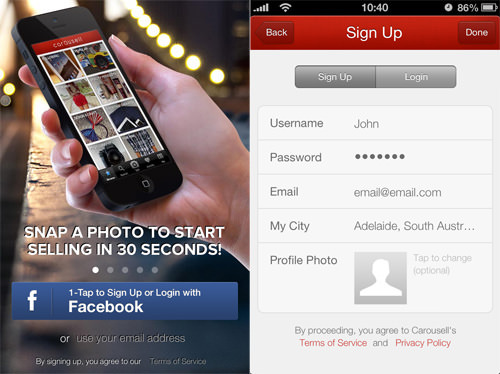 After installing the app on your phone, create a Carousell account with your Facebook details or email address. You will need to share your current location as Carousell will use that information to find buyers and sellers who are in your area. Pick your country, state and city of origin. Once registered, you can browse for items to buy, or start selling. Tap on the Sell button at the bottom. Upload at least one picture as the cover photo for your item’s sale page. 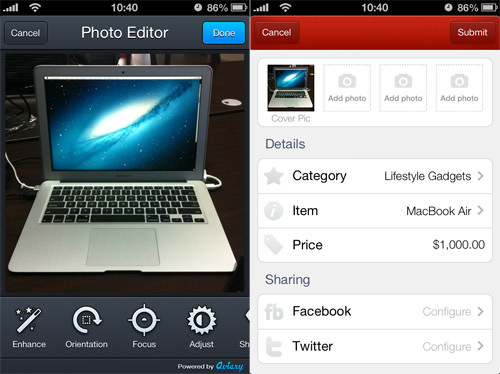 Don’t worry if the photo is less than appealing, you can adjust it with the built-in photo editor. You can add more photos or skip to adding details like the item’s price, description and category for your item to improve its discoverability. Want to announce it on your Facebook and Twitter? There are share options for those two networks. Carousell also works like a social network of sorts. You get your own Carousell profile page where all your listed items for sale are shown. You can also follow other users, comment on their listings, or like items for sale so you can view it later. To further discuss a deal with another user, you can communicate through private messages so you won’t flood your listing with comments. Carousell is merely a venue to offer or browse items for sale. It doesn’t offer a payment gateway so you’ll have to meet up with the buyer/seller to seal the deal either by cash or other forms of payment. Alternatively you both can agree to do this the old-fashioned way, without meeting up: the buyer can make a bank transfer and the seller can post the item over. There is no escrow service to fasciliate this. Carousell is currently offered in Australia, Indonesia, Malaysia, New Zealand, Philippines, Singapore, Thailand, United Kingdom, United States, and Vietnam. Thus far, the app is free to use and there are no ads to be found on the app. So if you have unwanted goods lying around, start snapping and getting it out there on Carousell.